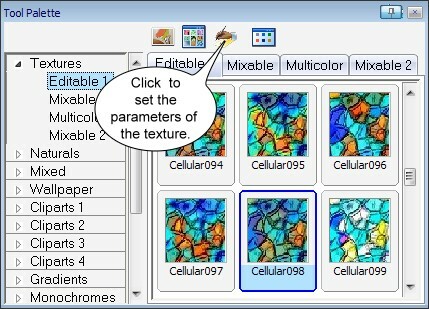 You can set parameters of the multinode texture and add this to the ToolPalette in your personal gallery. 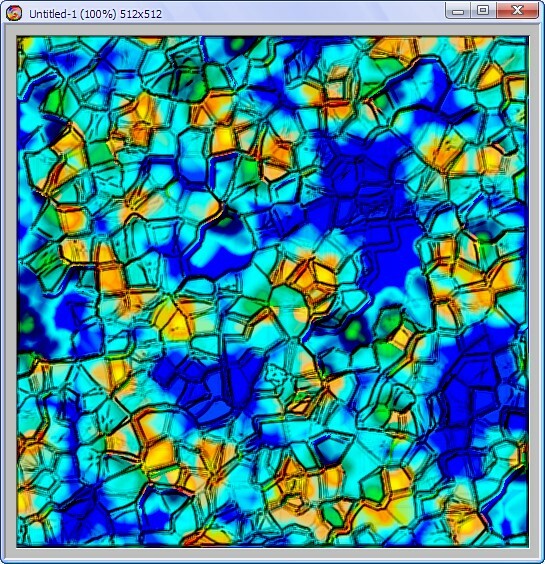 In the Effects Parameters dialog box, you can adjust the texture parameters. 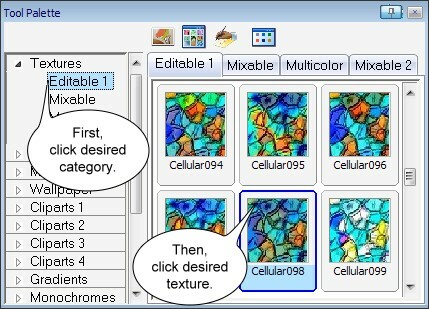 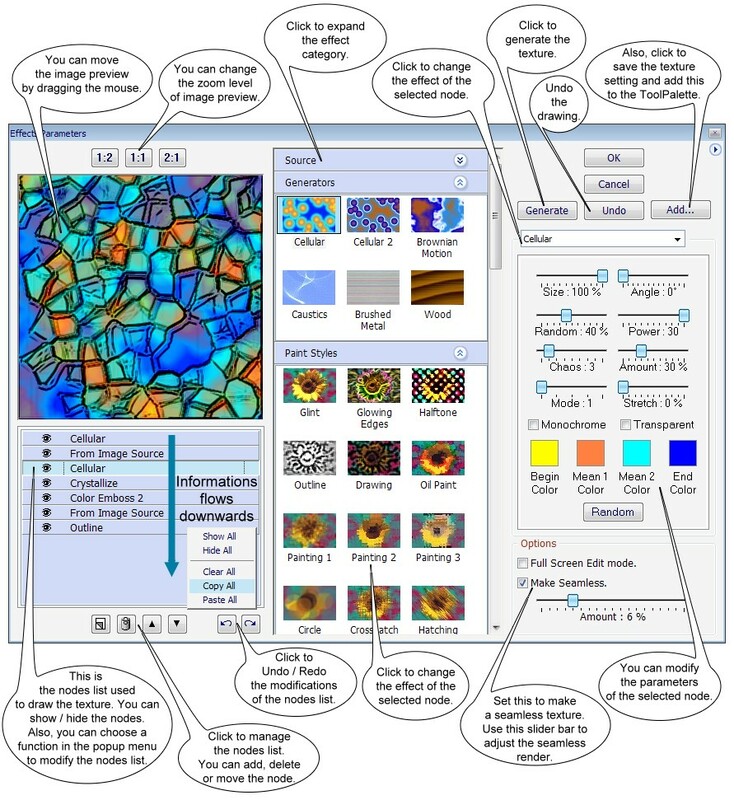 If you are not satisfied by the result, you can also choose an other texture by clicking into the ToolPalette. 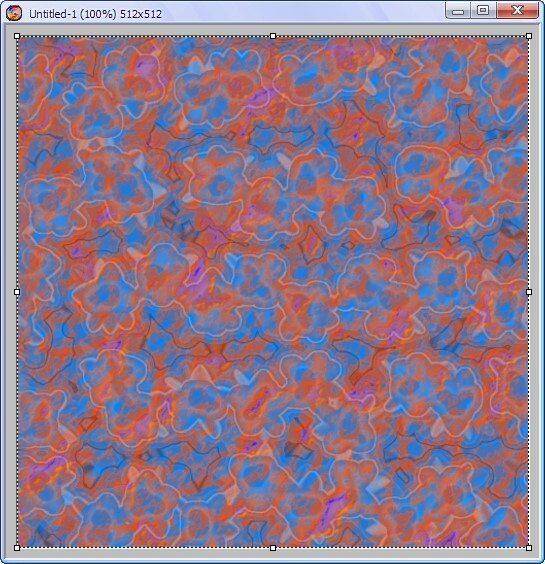 After the click to the Generate button, the texture is draw into the image. 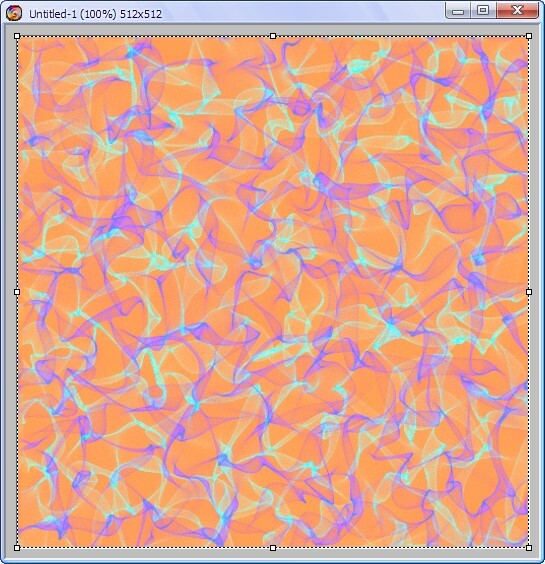 This is a variant of the same texture. 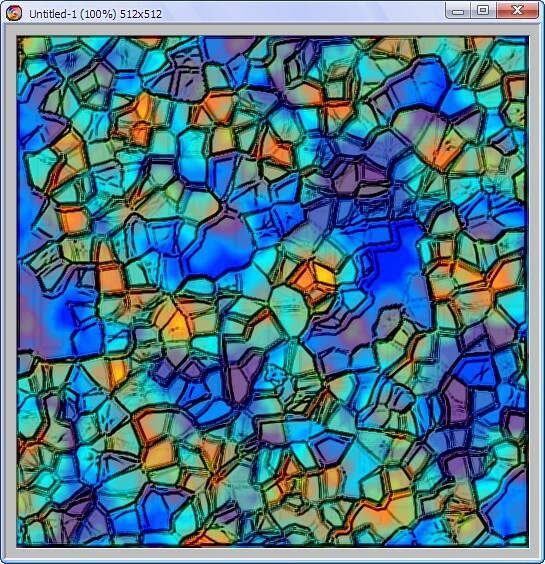 Another examples of multinode texture.